The best thing about having a tiny house? Being able to go anywhere you’d like with it. Of course, to take advantage of this, you’ve got to know how to tow. 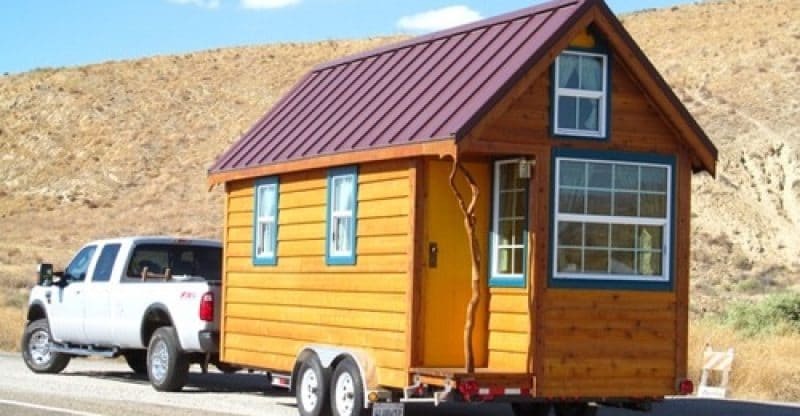 We’ve compiled a guide for towing a tiny house this summer. To tow your tiny house, you need three things: a trailer for towing your home, a tow vehicle and a coupler that goes between both of these items. Be sure that your vehicle’s hitch is appropriate for the particular trailer you’ll be pulling. Also, verify that your hitch sits at the right level. You’ll also need brakes and lights. Check out your tow vehicle’s capacity to make sure that you can actually pull your tiny home with it. The capacity isn’t based only on your trailer’s weight. It’s also based on how heavy the tongue is. When you’re towing a trailer that is empty, this isn’t a big deal. However, when you’re towing an entire house — even if it is a tiny one — you can put both your home and yourself in grave danger if your load isn’t properly balanced. This is what you need to do before you hit the road. First, measure your tongue’s weight. Next, make sure that your motor vehicle’s lights work. Third? Check to see that your tires look okay. Also, verify that your lug nuts have been tightened. These checks may seem insignificant on the surface. But trust us — they couldn’t be any more significant when you’re traveling at 70 miles an hour. When you tow a trailer, hooking your trailer up to your car is just the first step. The next step? Accelerating and enjoying the ride. But don’t go on autopilot. Towing is relatively easy if you’re going straight, but if you have to back up or do any maneuvering around obstacles, this takes some skill. For this reason, you may want to practice in an empty parking lot before you hit the road with your tiny home. Nonetheless, here are a couple of tips for going in reverse or going around a corner. First, set your vehicle up so that you are backing up toward your vehicle’s driver’s side. This will allow you to see the site and your rig a lot more easily in your side mirrors. Second, keep one of your hands at the six-o-clock position on your vehicle’s steering wheel — at the very bottom. In this way, you’ll be ready to easily move that hand in the specific direction you’d like your trailer’s backside to go. This will prevent you from turning your tires in the wrong direction when you’re backing up. Third, turn your steering wheel toward the right if you want your trailer to go left. In other words, your steering wheel’s bottom directs your trailer. Also, if you’re trying to turn around a corner, simply steer your trailer toward this corner. Then, steer a little bit in the opposite direction so that you maintain your turning angle. 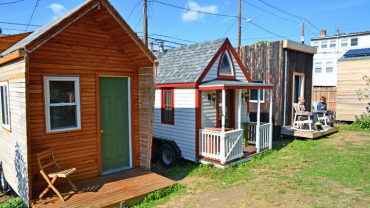 We offer a number of tiny house plans for those interested in building their own tiny homes. Contact us to find out more about building and towing a tiny house today.